Suitable for 3 wheeler vehicels of Bajaj & TVS , Mattings provide maximum underfoot comfort with greater asthetic appeal. Automobile Mats are available in diverse patterns that meet on consumers demand. Keeping in mind the diversity requirements of the customers, we present this product in varied patterns. One can purchase this product at low rate. Due to years of experience & knowledge, we are offering an extensive range of Neoprene Conductive & Anti-Static Mats to our esteemed patrons. Offered matting is fabricated by making use of Chloroprene rubber polymer. To make sure quality, we check these mats on well-defined quality parameters as per set industry norms. 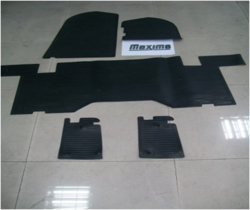 Floor mat for suzuki access Material rubber Activa mat , aviator mat, yamaha mat.. The highly experienced team of our organization offers auto mat sheet to our prestigious customers. It is used to cover surface and is available in wide variety of colors, shades and prints. These sheets are manufactured using high grade raw material that is being sourced from known and trusted dealers. They are easy to install and can be customized as per the requirement of the clients. Mainly Floor coverings by nature, they are laid out in exhibitions, home use, banquet hall etc. Our wide range of Foot Mat is used for protecting the car floors as well as carpets from slush, mud and snow. Customized as per the specifications of our clients, these foot mats are supplied at industry leading prices and also offers protection against water, mud, dirt, oil and stains. Our organization is engaged in offering Automotive Carpet to our clients. These Automotive Carpet are widely appreciated by our clients which are situated all round the nation. High in demand, these Automotive Carpet are available at most reasonable prices. We are well known for manufacturing a wide range of car floor mating that are widely used to protect the floor of the car from the normal wear and tear. 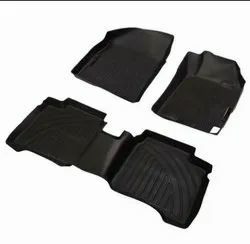 Our range also gives protective covering to the car floor and is available in customized form to fit into various model of cars.